Decomposition begins in the minutes following death. Any seasoned investigator will attest to how quickly a blowfly can appear to lay eggs on a decedent's body, a common occurrence in the earliest stages of breakdown, taking place just minutes after a person has been pronounced dead. This may take place indoors or outside, depending on the insect's access. Though decomposition cannot be reversed, it can be delayed. Extreme cold (think underwater, the winter months, or even morgue refrigeration) can slow the onset of the body's natural breakdown processes. Once changes occur, fragile evidence can be permanently destroyed. For example, postmortem blood samples may be rendered useless for certain tests in the hours after death due to bacteria and breakdown processes that will affect results. The world of forensics has seen major shifts in hiring practices when seeking to fill investigative roles in local jurisdictions. The trend of hiring civilians to perform the confidential field work that once was offered only to sworn personnel has provided qualified individuals with new opportunities. Two positions commonly filled by civilians are those of crime scene investigators and death investigators. To protect the evidence we wear gloves to avoid placing our fingerprints on evidence and to avoid cross contaminating the evidence. Cross contamination is a real issue at crime scenes when evidence may include DNA. We don't want to place our DNA on evidence we collect and we don't want to transfer DNA from one item of evidence to another. For that reason we need to change our gloves often. When collecting DNA (such as swabbing a surface) we should change our gloves for each sample. When collecting evidence that may have DNA on it, we should change our gloves for each item of evidence. It is common practice to wear gloves while processing a crime scene. But why, when and what type of gloves? There are two primary reasons for wearing gloves. One is to protect us from the evidence. The other is to protect the evidence from us. In this post I will discuss the first reason—protection from the evidence. Crime Scene Investigations is a fascinating and worthwhile career. Many people are interested in such a career but find it difficult to get started in crime scene investigations at their local law enforcement agency. 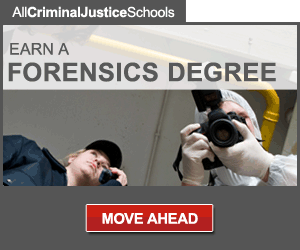 Once you have experience working as a CSI you are very marketable. Most agencies prefer people with experience and will pay higher salaries to attract experienced CSIs. But what if you have no experience? 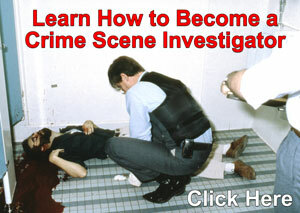 How to you get into crime scene investigations? The Crime Scene Investigator is a new weekly blog on the Crime Scene Investigator Network. This blog will be a place for my thoughts, observations and experiences in the area of forensic science commonly referred to as Crime Scene Investigations. I should introduce myself and give you some of my background. 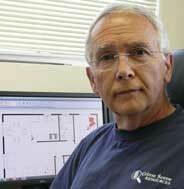 I am Steven Staggs and I am the founder and Webmaster for the Crime Scene Investigator Network. The Crime Scene Investigator Network website has been in existence since 2000 and has over 200,000 visitors per month. It is the world's most popular CSI and forensic science website. Steve, a retired crime scene investigator, is the webmaster of the Crime Scene Investigator Network, a crime scene investigations instructor at a University in California, and the author of crime scene photography books and articles.